Do you want to spice up your device’s Notification Center by changing its look and feel? If yes then try NC Customizer tweak from Cydia. 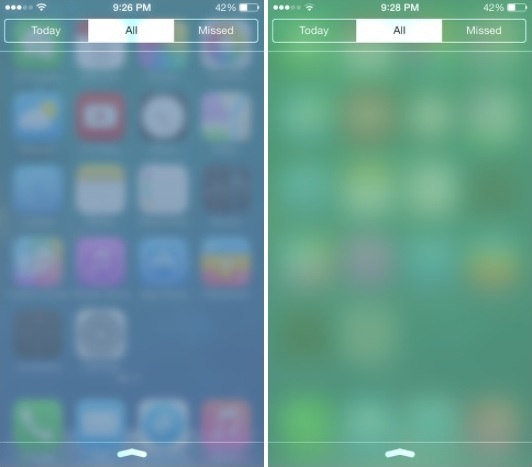 This tweak allows users to customize the look of Notification Center’s background by personalizing its color and level of blur effect. The tweak does not feature any complicated settings and adds no icon to the homescreen. From Settings iOS users can simply enable or disable the tweak, change the level of blur through the slider function as well as enable or disable soft edges. They can also choose the color by swiping on slider or by selecting the BG color selection. NC Customizer is a simple tweak that can have a very noticeable affect on iOS’s Notificaiton Center. You can download the NC Customizer tweak from Cydia’s BigBoss repository for $0.99. It runs on all iOS 7 devices including iPhone, iPad and iPod touch.